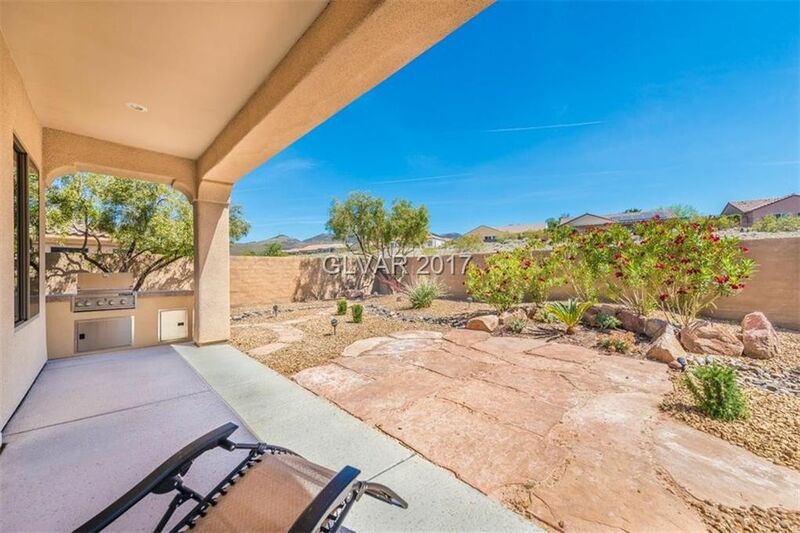 Amazing Anthem Country Club 2162 sf single story w/detached CASITA off PRIVATE gated COURTYARD! Huge 1/5 acre lot w/patio cover,builtin BBQ,MOUNTAIN VIEWS+privacy! Rich genuine HARDWOOD FLOORS, plantation SHUTTERS, new TAUPE paint thruout,new carpet+pad in bedrooms! Great layout: SUNNY ISLAND KITCHEN w/breakfast bar+nook opens to family room,3 TRUE BEDS+office/den,3 FULL BATHS! UPGRADED/UPDATED master bath,WALK IN CLOSET BUILT-INS,STAINLESS,more!